[Episode #51] She is a marketing & business development consultant by day and a self-help vigilante by night. Her alter-ego and company name “Activity Girl” was inspired by a Joan Jett and the Blackhearts song about a woman committed to helping others. 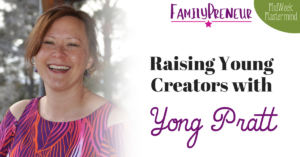 Her career has spanned from inventing a recycled-content countertop product in her garage – while having two small children at the same time, to creating two successful rural weddings venues (and writing the only book on how to do that available) to now, using her creative and varied experiences to help other businesses grow and be successful. But along the road of entrepreneurship, she banged her shins on a few hurdles, and began to uncover the importance of parenting, mental health and self-improvement not only for her as a business-woman, but also what she needed to know about being an “aware parent” to her now, teenage kids. So, by day, she works as the number one cheerleader and coach for small companies around the country. 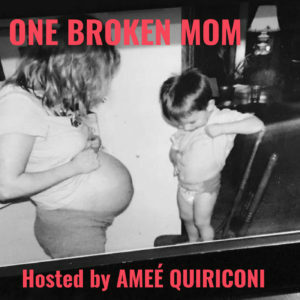 And her spare time – she's writing & podcasting on One Broken Mom, raising awareness about brain development & childhood experiences and what we need to know about how they shape our kids and the adults they will become. Today we're excited to be joined by Amee Quiriconi! Did you know we have apparel for the whole family that promote the FamilyPreneur mission of empowering families through entrepreneurship? 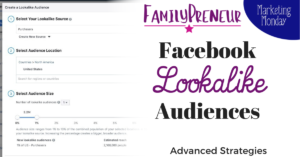 Visit FamilyPreneurShop.com to check out the current selection and keep an eye out for more great products – including books! – that are coming soon! Start with your origin story. Amee’s been an entrepreneur for 16 years. She developed a way to make a recycled content countertop. 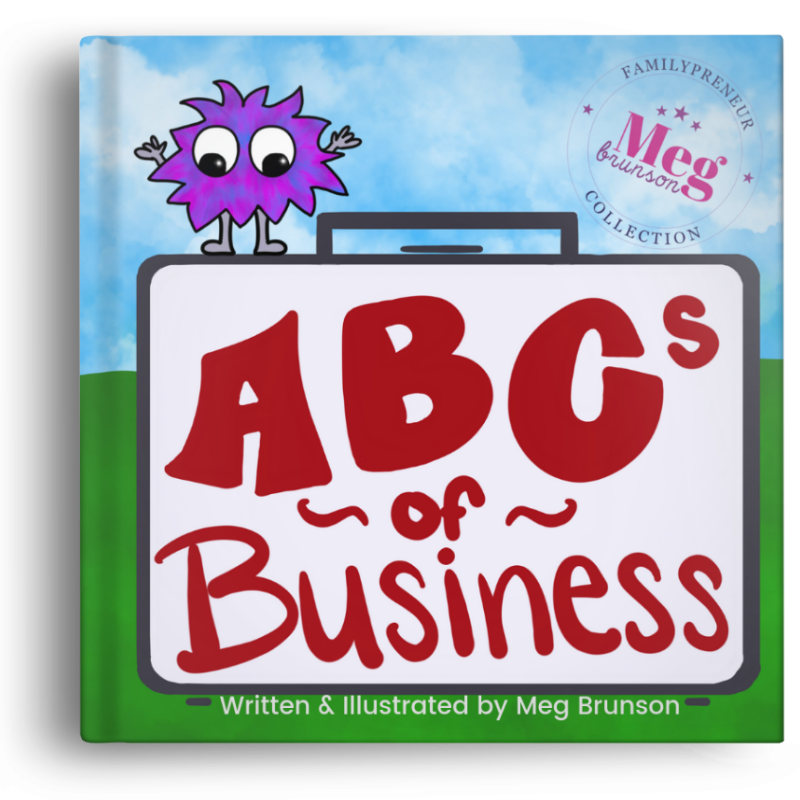 Having your own business is a very stressful place to be with a lot of ups and downs. 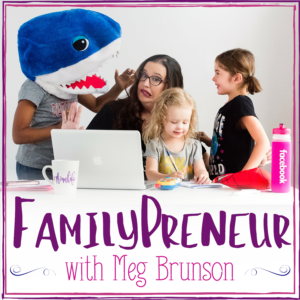 How did you handle the balance between your kids and your business? There’s a lot of guilt when you try to do someone else’s approach. In the early days, entrepreneurship requires all of your energy. If you go into it knowing there are going to have to be some down periods, that makes everything easier. Always double how long you think it’s going to take to get your business off the ground. How do we determine how much to let our kids in on and where those boundaries lie. Your kids will let you know if you’ve gone too far. You have to look for their behavior. Kids will start to feel needy to you and respond to you in that way. As kids get older there’s a danger ignoring your kids own autonomy. What kinds of jobs did you have as a child? As the oldest, her job was to take care of her younger siblings. When she opened her first shop, she hired a group of young men like her brothers. She would take babysitting jobs, and worked at an ice cream shop. She has three younger brothers. How do you think providing for your kids and giving them a better life is affecting them? It’s a matter of letting them see what it’s like, but also not scaring them. She doesn’t talk about every hardship she has with her job and clients. You have to overcome the scarcity mentality. You need your children to understand the value of what they get for the money. You have to consider age-appropriateness for kids too. Do you do a lot with financial coaching? She maps out finances for her clients. One of the best determiners of whether someone will default on their loan is whether they grew up in a family of entrepreneurs or not. Tell us more about your podcast. She started it because she went through a huge metamorphosis as a parent. She realized how much childhood effects you as an adult. Your self-awareness allows you to start doing a better job of tuning into your kids. Amee is a marketing & business development consultant by day and a self-help vigilante by night. Her alter-ego and company name “Activity Girl” was inspired by a Joan Jett and the Blackhearts song about a woman committed to helping others. Amee's career has spanned from inventing a recycled-content countertop product in her garage – while having two small children at the same time, to creating two successful rural weddings venues (and writing the only book on how to do that available) to now, using her creative and varied experiences to help other businesses grow and be successful. But along the road of entrepreneurship, she banged her shins on a few hurdles, and began to uncover the importance of parenting, mental health and self-improvement not only for her as a business-woman, but also what she needed to know about being an “aware parent” to her now, teenage kids. So, by day, she works as the number one cheerleader and coach for small companies around the country. 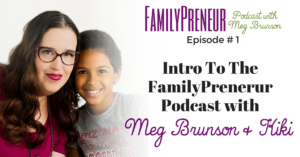 And her spare time – she's writing & podcasting on One Broken Mom, raising awareness about brain development & childhood experiences and what we need to know about how they shape our kids and the adults they will become. Last week we welcomed Kathryn Moorhouse to the show! Kathryn is my personal go-to Pinterest expert and we collaborated on my IntroToSocial Course (found at IntroToSocial.com). On this episode, Kathryn provides a TON of tips for leveraging Pinterest as a part of your business marketing strategy. Her journey has been heavily influenced by family entrepreneurship and she talks about how she and her entrepreneurial husband recently managed an international move with only one laptop. Kathryn is such a delight, and the episode was both fun and packed full of value. You know when there's something on your to-do list – that big, juicy goal – that’s SO BIG it might feel impossible, stress you out, or you're afraid you don’t have what it takes to pull it off? So you put it off instead. Today's guest works with you to map out your vision and guide you through the process so you stay out of overwhelm and in action – confident, on top of your game and wondering – WHAT ELSE IS POSSIBLE? She's a mom to 18 (!) a published author, podcaster, public speaker, minimalist, healthy life enthusiast, wannabe YouTuber, enjoys trading Bitcoin and cryptocurrency and is jonesing to do more traveling. You're not going to want to miss meeting Jenn Taylor next week!